If you are planning to use the popular WordPress platform, one of the first things you need to consider after defining your website goals is a WP theme or template for your site. And, you need ideas for nice WordPress themes and blog templates that would fit your business. Of course, you could sign up for a free blog at wordpress.com, and use their themes, but you will get the most flexibility, search engine power and long term benefits by hosting your own domain(s). Then – you can use these showcases with my favorite commercial WordPress themes and customization options. This site uses the popular Thesis Framework Theme. Here are 22 cute WP themes can be used in christian themes, car themes, fashion themes, wedding themes, music themes, mobile themes, family themes, dentist themes, law themes, real estate themes, news themes, ecommerce themes and many business marketplaces. These are all premium WP themes and there are many more as you visit each site. It’s easy to add social media buttons, so your audience can “like” and “tweet” and “share”. So what are these 22 best WordPress themes? As a reminder, start by hosting your own domains, and if the WordPress software does not come with the hosting company (it should), you can also download the latest WordPress open source code at http://wordpress.org/download/. Great hosting companies: Dreamhost, BlueHost and Godaddy – check’em out. And, for more advanced users – you can set up a multi site WordPress network, to manage multiple sites across your own blogosphere. This is the WordPress “MU” software, but has since been retired, and exists no longer. This amazing business theme uses jQuery coding to present beautiful front and page transitions to highlight products, pictures and videos among others. With a choice of 20 colors, the elegant VibrantCMS is ideal for small businesses wishing to have a clean, modern and intriguing website. These can be used as technology WordPress themes and templates too. This is a sleek theme best suited to direct visitors to a specific product or page or to collect their information. This theme is best for use in showcasing products like computer software. It is a unique, gorgeous and simple in design. Very professional and full-featured theme. You can customize it with latest news information, fonts and call center frame if you wish. A small business magazine-style WordPress theme to promote products. 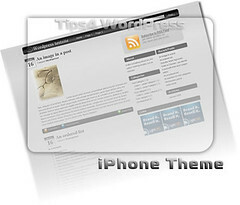 This theme has a home page slider that showcases specific content or services. It is very neat, professional but unique and attractive. A stylish, flexible and clean theme that can suit both a website and simple blog. It is feature-loaded and easy to create. A crisp and clean business WordPress theme with CMS, page based structure and an optional blog layout. This is a stylish corporate or business theme that includes 4 custom page layout options, video support on the homepage, built in SEO for posts and pages among others. This theme has two “call to action” buttons on the homepage splash screen funnel the visitors toward a different landing page. This stylish premium theme transforms your blog into an estore website ideal for selling products online. Notepad is a clear, minimalist theme designed to host a small business site focused on a single idea or product. A minimalist, multipurpose theme that can be used for a professional blog, portfolio, business website or other purposes. Cafe Press Theme is designed strictly for small businesses and has an outline of contact information, promotions, products and other items on the front page. This is an ideal theme to showcase products online. It has dynamic widgets with products slider, custom product details page template and 6 color scheme options among many other features. This is a corporate/business theme with tons of features aimed at promoting and selling products online. It comes with a product / service rotator, a testimonials widget and 5 color schemes among others. Creative juice provides top end WordPress themes. This is a nice design with sliders that open up on the home page. Clean design with animated, rolling home page graphics and simplicity. Social media ready. What WordPress Themes do you use? What is your absolute favorite WordPress theme today?